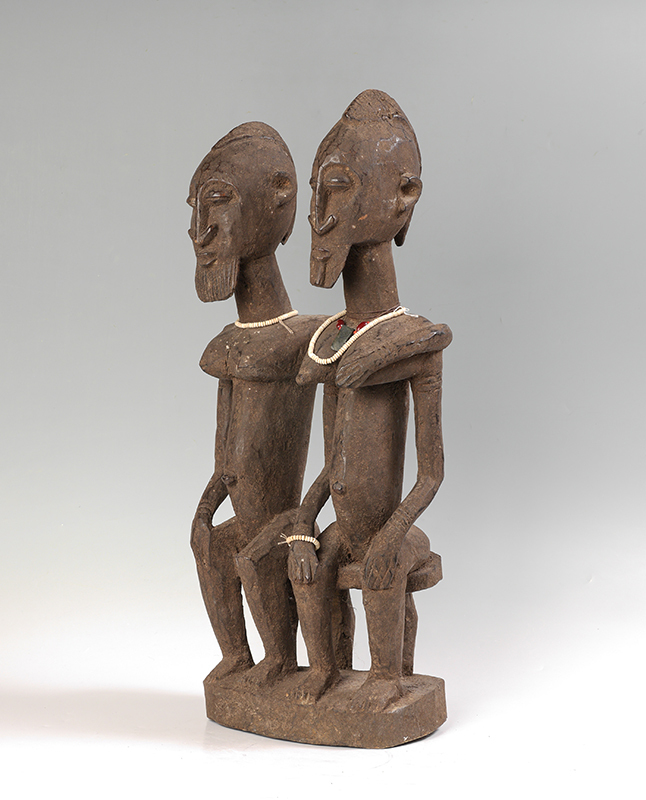 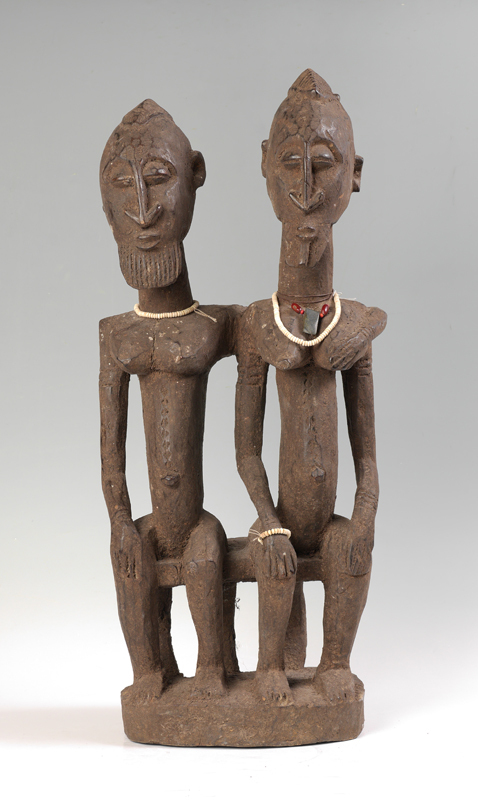 CARVED AFRICAN DOGON TRIBAL COUPLE FIGURE: Circa late 19th to early 20th century figure of a seated man and woman adorned with beads. 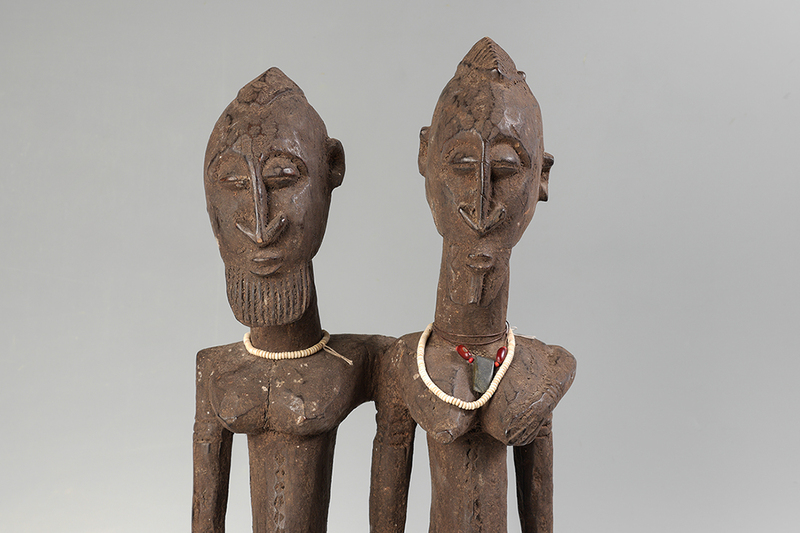 Dogon tribe, West Africa. 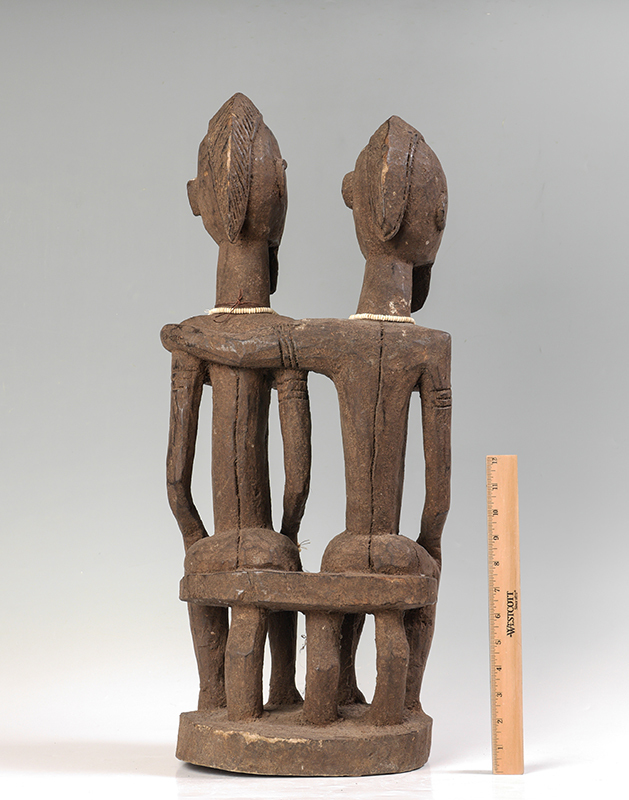 Overall measures 27'' h. x 11'' x 8 1/2''.